Scroll down for the entire photo gallery. You’ve heard of canvas and cocktails–and you might even be familiar with its cannabis cousin, Puff Pass & Paint; but there’s a new creative session in town, and it’s all about puffing and making pottery. Puff Pass & Paint was founded in 2014 with one idea: Allow people to channel their inner artist through the creative power of cannabis. Tyler Joyner, the company’s administrative director, took some time to chat with us back in April before we visited the pottery session. Our photos are posted throughout. Joyner–who studied divinity but became disenchanted and left the church–seems to see many of the same communal benefits others seek in religion in the world of cannabis. When asked about Puff Pass & Pottery’s view of the new presidential administration’s efforts to further stigmatize the plant and its consumers, his response was hopeful and peppered with the type of language one might hear in a youth pastor’s Wednesday night sermon. The bottom line, though, according to Joyner, is to go in expecting to have a lot of fun. Jenna Decker-Smith, the class instructor, received her masters’ degree in ceramics from East Tennessee State, and throws herself into the class, helping when needed while giving the stoned creators space to work on their projects. This isn’t a scene from Ghost–the process is called “hand building.” Students receive a clump of clay and let their imaginations run wild. Near the end of the class, Decker-Smith will walk around and give participants several glazing options. She then bakes the projects herself in a kiln, glazes them, and makes them available for the creators to pick up at the studio on Grant Street. Out-of-town participants can request the final product be mailed to them. Oh, and be ready to smoke. 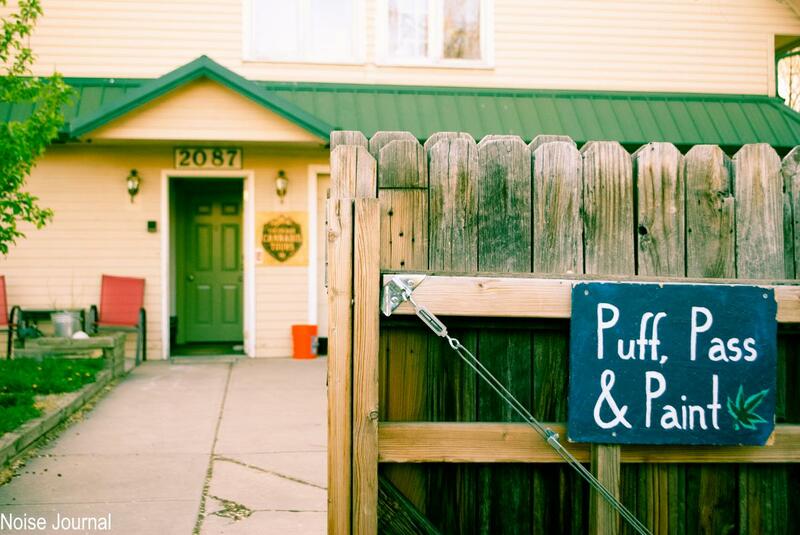 While Puff Pass & Pottery doesn’t provide weed at their classes, they partner with different dispensaries and other cannabis companies which provide complimentary cannabis for students to try. The mission of Puff Pass & Pottery is pretty simple: Explore art through the creative eyes of cannabis. Puff Pass & Pottery is held every Friday, and the company holds other creative cannabis themed events including writing and painting courses.